Advertise at Two Bar Bowl, in Cheyenne, Wyoming! The Two Bar Bowl bowling center is a 24-lane bowling center in Cheyenne, Wyoming. 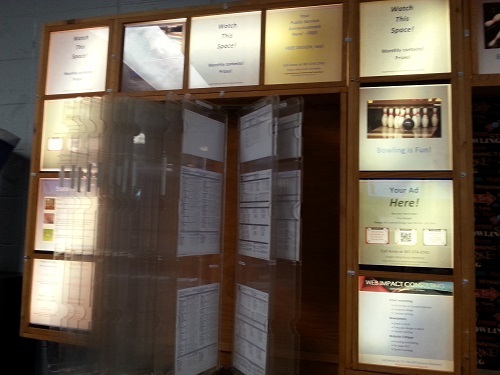 The Advertisement Center at Two Bar Bowl consists of twenty-five spaces - each one 11 X 11, surrounding the League Status boards and a central League Information bulletin board. The price for one year is only $20 per month or $240 per year. If the entire amount is paid in advance there is a $40 discount. Design of initial ad is free. You can also change your ad every month - and the design for each monthly ad is also free! 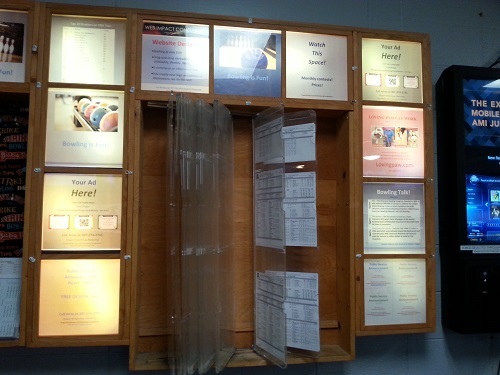 Download the Two Bar Bowl Advertising Center Price List and Details pdf. During its fall/winter season, Two Bar Bowl hosts at least one sanctioned league and usually two such leagues every single day. During the summer season there is at least one "fun" (i.e., unsanctioned) league every single day. 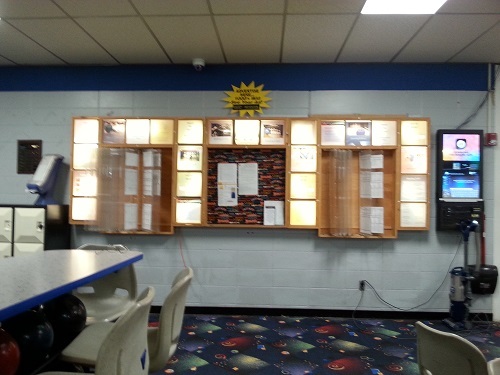 As a result, bowlers constantly gather around the Advertisement Center to check on their league stats - and to read any advertisements that may catch their eye.